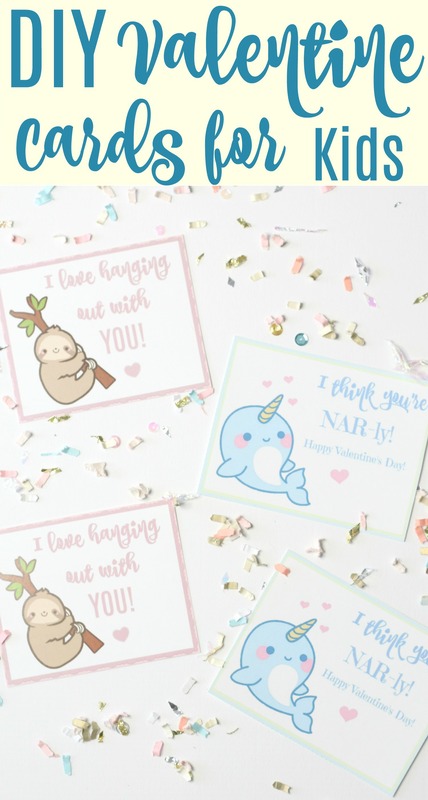 These DIY Kids Valentines are perfect for school and so cute! They are the perfect handmade treat for your classroom Valentine treats! I love making DIY Valentine’s for my kids every year. My kids are always into something fun and making our own handmade card is super fun and always a hit. Last year, we made these super cute Llamacorn Valentine’s so this year we knew we had to take it up a notch. 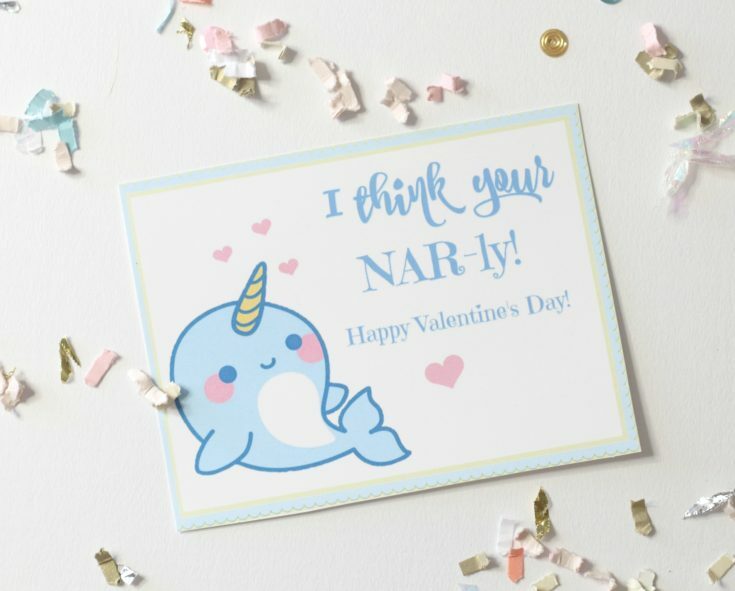 This year, my girls are loving (like every other little girl) sloths and narwhals. I mean what is more cute than that! So, this year we got to work and came up with these fun Valentine Cards. I hope your kiddos love them as much as we do! I mean could these get any cuter? What I love is that you can add a cute little trinket from the Target Dollar spot and your Valentine treats are complete. You can even add a lollipop like we did below to the sloth. He is just hanging on for dear life that cute little sloth. My girls are absolutely obsessed with these Valentine’s and I cannot wait for them to share them with their classroom and friends! 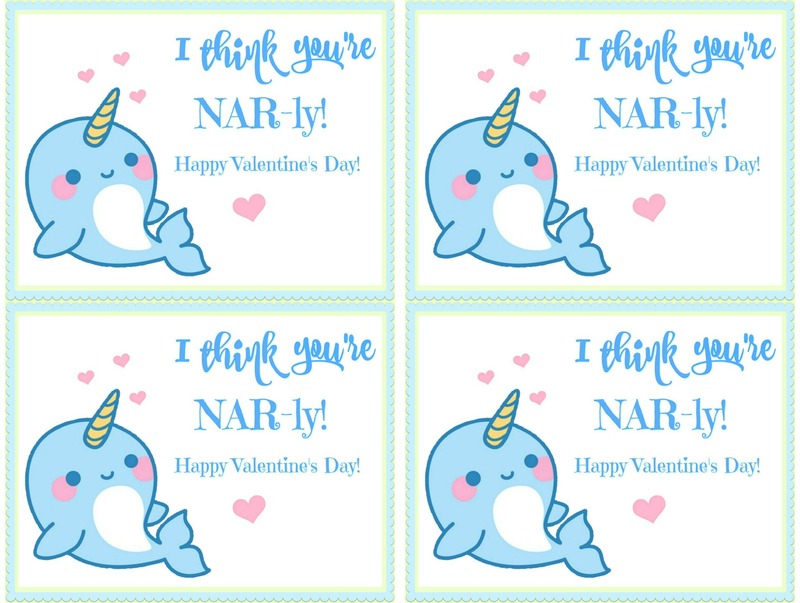 Save your favorite Valentine’s Day Card to your computer. I mean, what is more simple than that? You literally do not even have to leave your home! Ta da! What I love about class valentine’s is that you don’t need an envelope! 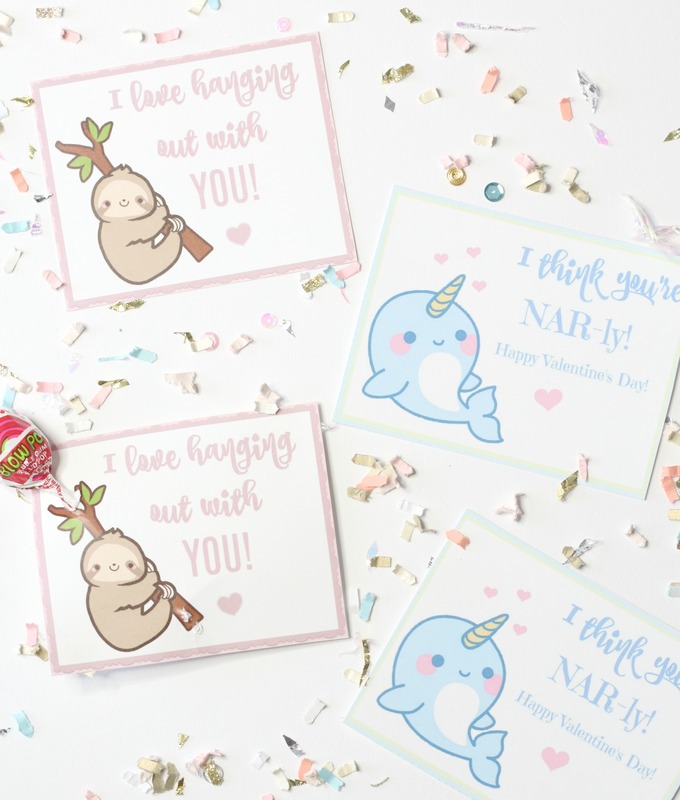 Print these DIY Homemade Valentine Cards for your kid's classroom Valentine party! It's easy to print and cute out. Add a trinket or candy to make the perfect holiday treat! Save FREE printable from Moms Without Answers to your computer. Open printable on your computer and click print preview. Check to make sure that you select the correct setting and that all Valentine Cards are in the print frame. Check out more of our Valentine Cards like this Llamacorn Valentine Card! 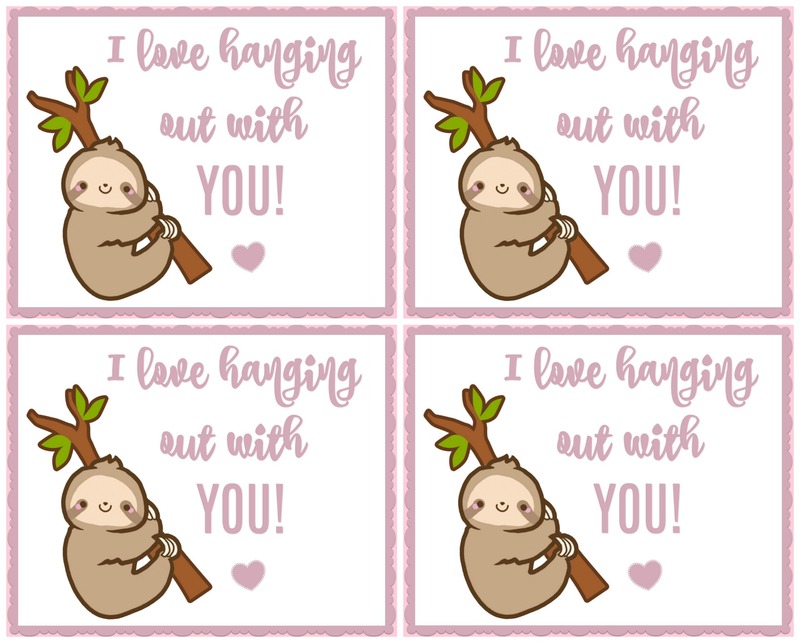 Just print these little cuties on card stock and you are ready to go! I hope your kiddos love these Valentine’s Day cards as much as mine do! Happy Valentine’s Day! Happy Valentine’s Day: You’re a Llama Fun!